Creating content these days is tough. Historically, when us content marketers find something that works well we tend to pursue them relentlessly, to the point of reaching diminishing returns (infographics are a case in point). During their prime, infographics didn’t have to be particularly good in order to get links; as long as they hadn’t been done before and the design was nice, securing coverage was relatively straightforward. Unfortunately, this isn’t the case these days, as we don’t have a fresh format of content (like infographics were) that will carry a relatively uninspiring or basic idea across the finish line. What it’s boiled down to is that in order to consistently create successful content pieces, you need to consistently come up with extraordinary ideas. There are no shortcuts or magic bullets. An infographic can still do very well if the idea is exceptional, as can any format of content with a good idea behind it, but the problem we face as content marketers is that coming up with great ideas is seriously tough. Unless you’re lucky enough to be naturally creative, ideas rarely fall into your lap, and you’ll need to rely on various sources of inspiration until that winning idea formulates in your mind. Below is a list of tools and techniques that we find useful for coming up with content ideas. I regularly waste hours of my time scrolling through Reddit outside of the office, but it’s also a great source of content inspiration. Cute cat pics aside, if you drill down into the niche subreddits there are thousands of passionate communities that are a goldmine for ideas. 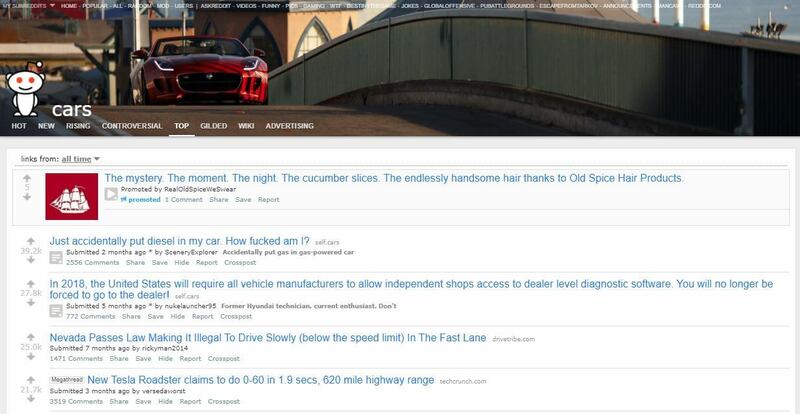 A solid starting point is to see if there are any subreddits around your client’s niche and checking out their top posts of all time. Idea: An electric car index that benchmarks range, 0-60, charge time, price, and more to create an overall ranking. Idea: A Freedom of Information request for data around slow drivers being ticketed, and using the data to map out the slowest counties. The above are just quick examples to outline the rough thought process. At this stage, you’re merely looking to build a list of potential ideas that can be refined further on in the process. IAmA and AskReddit are good for spotting areas of interest around a niche. Search for a relevant keyword and explore the headlines and comments. What’s a pro tip all car owners should know? Full of interesting tips, however many of these would be much better explained with an illustration! Car salesmen of Reddit, what’s something you don’t want customers to know when buying a car? Along a similar vein, and equally full of potential for content. As well as the above, there’s a handful of subreddits that are always worth keeping an eye on. Mostly infographics, but a great way to spot what’s currently flavour of the month. Also good for brutally honest feedback if you post your own pieces, but bear in mind that excessive posting won’t work out well for you. A regular stream of insightful graphs, maps, charts and data sets. Interesting tools, interactives, one-pagers, though not overly active. As the name might suggest, a collection of interesting maps. When you come across a successful content piece you like, you really should be making a note of it somewhere. Eventually, you’ll have an ever-growing stack of ideas that you can scroll through when you’re at a dead end. A swipe file should be visual and easy to scroll through, and Google Slides is a great solution for this. Quora revolves entirely around questions, and like Reddit has passionate niche communities regularly contributing insightful content. Again, you’re going to want to search around your client’s niche, with some topics allowing you to view frequently asked questions within that category. Creating an account allows you to follow topics relevant to your clients, resulting in a steady stream of new questions and ideas. Forums and blogs are often overlooked, but a few simple Google search operators can send you down a rabbit hole of ideas. As mentioned, you’re going to want to spot common questions and themes, as well as identifying what type of content does well and who is posting it. 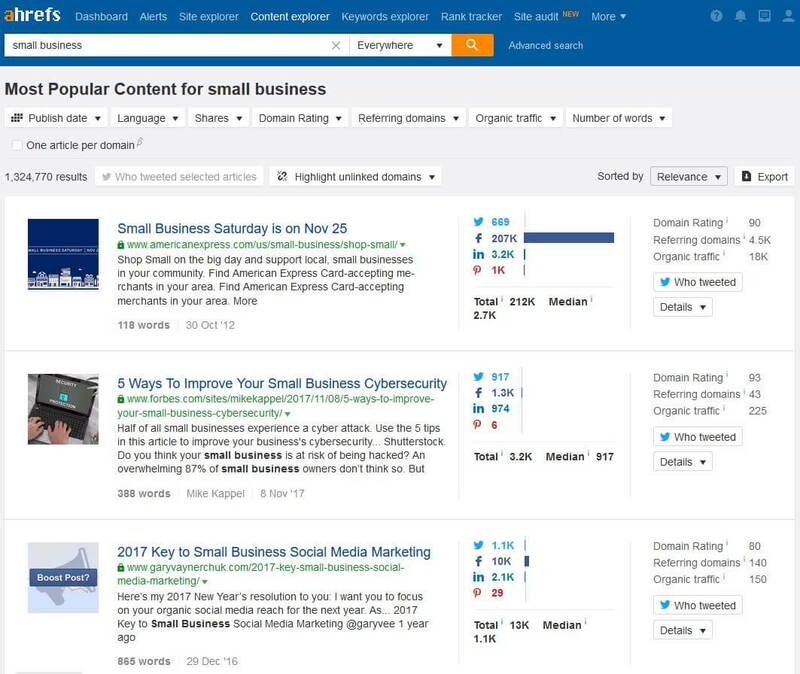 When looking at blogs around a niche, it’s useful to plug them into Ahrefs.com and look at their most successful content in regards to links and social shares. As well as user-generated content, there are several websites that create or curate the very best examples of datavis, interactives, infographics and more. 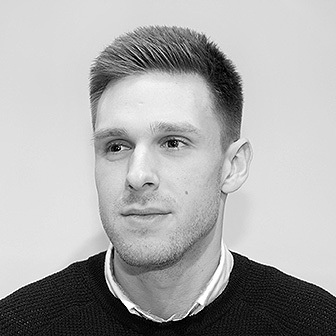 The home of Andy Kirk, a UK based data vis specialist. A regular stream of high-quality datavis. Regularly creates unique and innovative infographics, charts and graphs, such as this interactive on the world’s biggest data breaches. The awards branch of IIB, showcasing the very best examples of data vis, infographics, and interactives. Not updated all that regularly, but there’s several years’ worth of geeky charts and infographics to scroll through. A well-curated Tumblr, mostly from Reddit but enriched from other sources too. There are a plethora of tools available to content marketers and it can be hard to identify which are worth the subscription. The below tools are used regularly by us during the early stages of ideation. 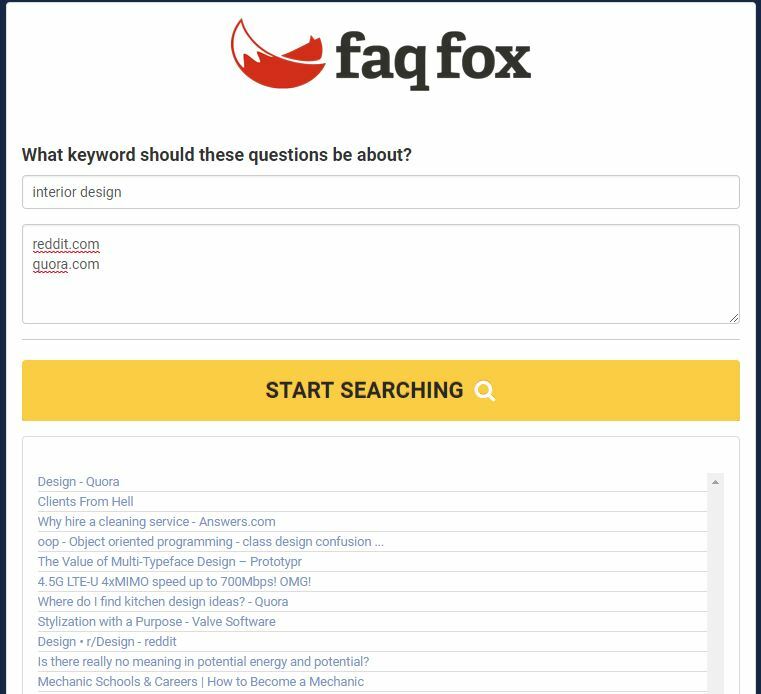 FAQ Fox by WebpageFX is a great way to hunt down the questions that people in your client’s niche are asking. Type in a topic and the sites you want to scrape, and it will scrape headlines that can be skim-read to help spark fresh ideas. Ahref’s content explorer does a great job of surfacing the best content around a niche in records to referring domains and social shares. Don’t forget to check out the advanced operators for a more granular view of a specific site or author. 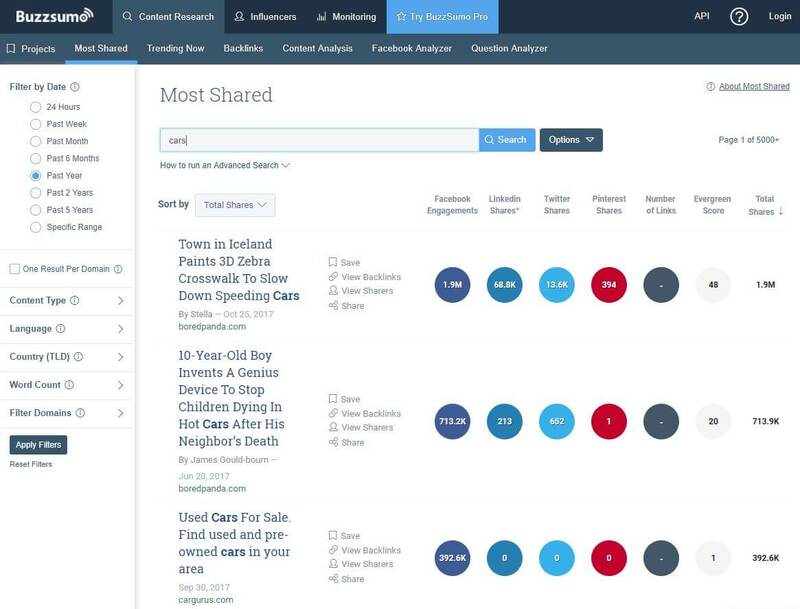 As well as this, you can of course plug your competitors into the site explorer to identify which content of theirs is driving the most traffic, links and shares. A well-known tool but consistently useful over the years. As a non-paying user you are limited, but their Evergreen Score is useful for identifying content that regularly attracts links and shares over a long period of time. Buzzsumo works best if you keep the seed keywords broad, drilling down when appropriate. 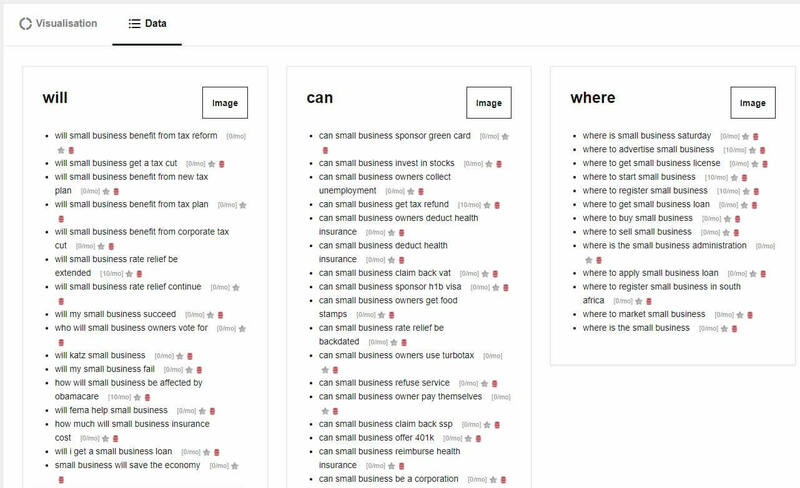 Answer The Public is most likely already part of your arsenal and uses Google and Bing’s autosuggests to aggregate the Whos, whats, whens, wheres, and whys around a topic. You can take this to the next level by using Keywords Everywhere Chrome extension to pull in search volume directly alongside the queries. 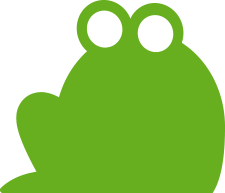 RSS readers are still worth using, and Feedly is generally regarded as the best one around. Consider adding the aforementioned showcase sites, as well as the main sites creating content within your clients’ niches. Taken with a pinch of salt, Portent’s content idea generator is a great starting point when you’re in the very early stages of ideation and need to churn through some headlines to get the creative juices flowing. Stacey MacNaught has already written an extensive summary of the 6-3-5 method for content purposes, and it’s perfect for generating a considerable amount of content ideas in a short amount of time. Once you have your list of idea’s it’s best to briefly run through the ideas as a group to identify the strongest potential angles that are worth further refinement. Everyday free to use datasets are published online, full of insightful data on pretty much every topic imaginable. Taking this data and identifying a fresh angle, or presenting it in a different way visually, is an easy way to create likeworthy content. Every week Jeremy Singer-Vine, Buzzfeed’s Data editor, sends out a roundup of new and interesting datasets that is worth subscribing to. If you feel like you’ve missed out over the last few years, there’s a Google Sheet of all historical newsletters here. 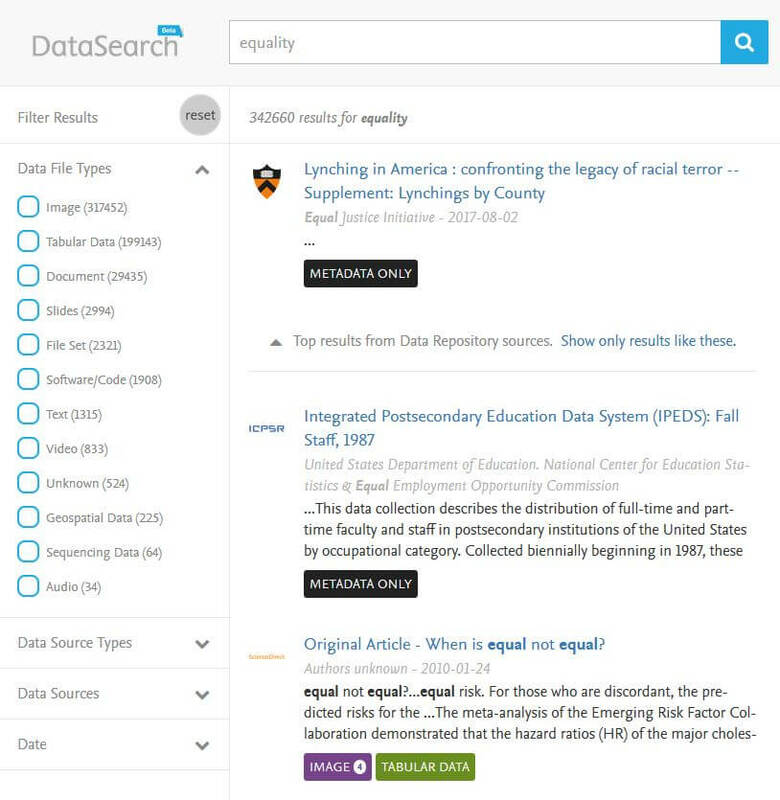 While still in development, Elsevier’s DataSearch tool helps unearth research data from institutional repositories. Scrolling through the data around a topic can help identify potential ideas that you know will be backed by highly credible data. 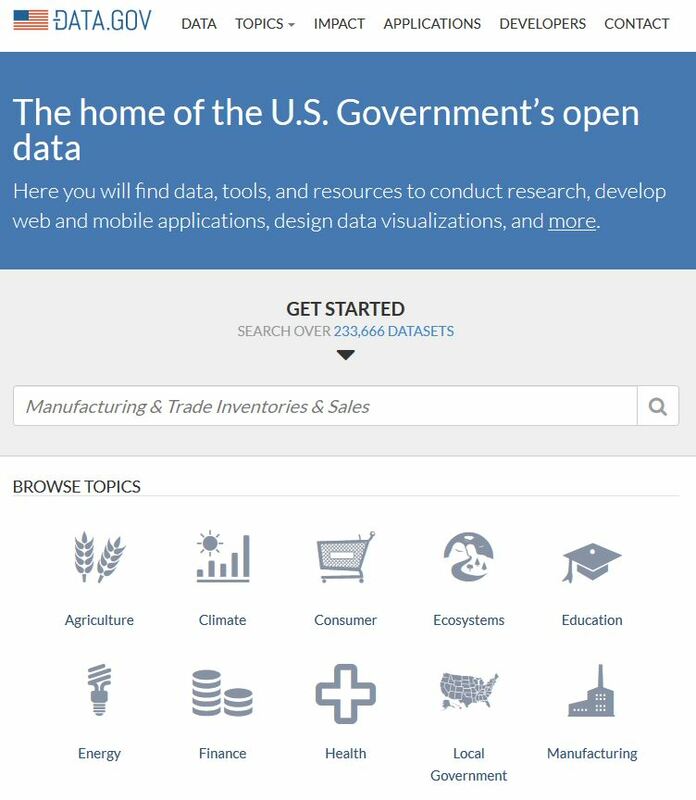 Almost every government releases data on a variety of topics and issues. At times the data can be cumbersome to sift through, both like DataSearch the information is from highly reputable sources, adding unquestionable credibility to a piece. Hopefully this post has unearthed a new source of inspiration, and if you think there’s anything we’ve missed get involved in the comments. Great ideas Mark – well researched. Reddit is definitely, like Mos Eisley, a hive of scum and villainy… but actually a great source of content ideas. I also use ahrefs which is a great resource. Great stuff Mark. Shame about your love for Man U but we can’t all be perfect. I, for my sins, are a Liverpool man (cough). 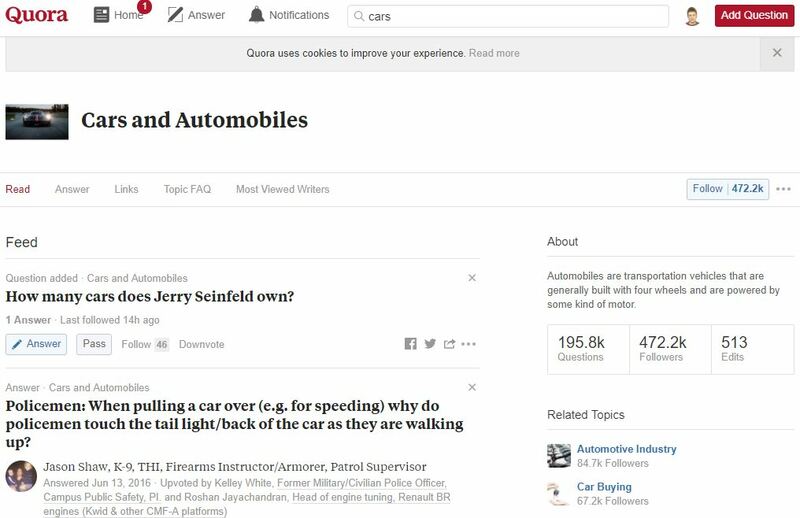 I as a source of inspiration use Quora, is more usable than Reddit. I think Ahrefs is the most complete instrument, while Buzzsumo fascinates me, I’ve never used it and it seems to have great potential. Sometimes I just come here to help the frog eat the fly. Isn’t this brand loyalty? We were just having this conversation about infographics. As it takes something really exceptional to have any kind of impact. Some great tips in here, Ill share them with my community as I know they will benefit from it. If you want to save a bit of time on Reddit research, you might find https://questiondb.io/ useful.